Leading supermarkets have recalled several products amid concerns they may be contaminated with listeria. 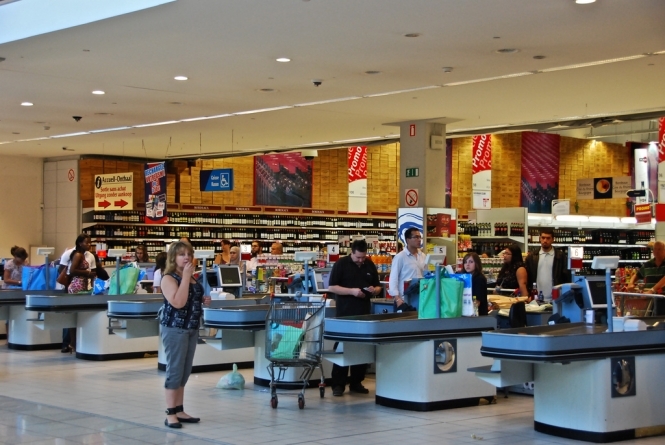 Leclerc, Auchan, Monoprix, Carrefour, Casino, Leader Price, and Intermarché have all issued recalls for a range of products, including chicken wings, smoked trout and pork tongue in jelly. Anyone who has affected items is advised to throw it away, or return them to the store where they were bought for a refund. Auchan brand pork tongue in jelly, sold in two 180g slices, with a use-by date of August 21, 2018, lot 29199, EAN 3596710424047, veterinary identification number EN 72.132.002 EC. Paysan Breton brand 200g bags of roasted 'original' and 'tex mex' chicken wings. Odyssée smoked trout slices sold in 120g lots. 125g pots of L'atelier Blini falafels sold in Intermarché and Auchan stores with a best before date of September 12. Atelier de l'Argoat brand of andouille de Guémené with an eat-by date of September 22. The brand is available in a number of supermarket chains. Castelli France-brand coppa Di Vittorio, sold in numerous supermarkets between the dates of June 8 and August 9. Gorgonzola and mascarpone cheeses sold at Carrefour stores between July 5 and August 15. Listeria symptoms may not show until 30 days after exposure. They include mild flu-like symptoms, headaches, sore muscles, fever, nausea and vomiting. If it spreads to the nervous system, it can cause stiff neck, disorientation or convulsions.